Gold Coast at Fort Lauderdale Executive Airport. Zulutime Pilot offers specialized pilot training approved by the FAA under 14 CFR Part 141, as well as under 14 CFR Part 61. ZuluTime’s innovative approach to professional flight training offers a more efficient and effective flight training solution. Our dedication to quality, standardization, and mastery of fundamentals, supports a positive and professional flight-training environment for our student pilots. An FAA Commercial Pilot Certificate is your gateway to flying professionally. Our programs accept local and international students. Learning to fly is worth the effort and the process of becoming a pilot can be a life-changing experience. Additional ratings will increase your skills and confidence. 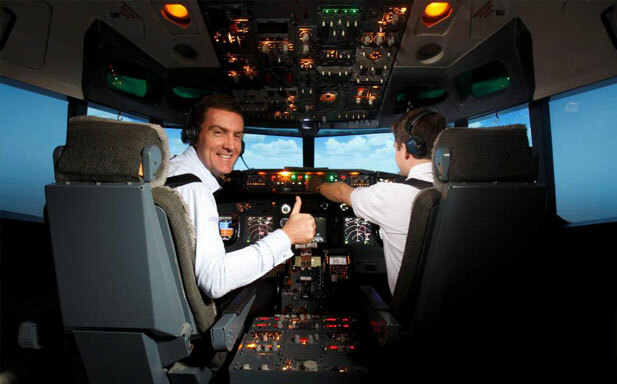 Have you ever wanted to fly an airplane? Not as a passenger but at the controls? A Discovery Flight is the perfect aero adventure. Flight training begins on the ground. The FAA requires mastery of an extensive ground school curriculum before you can become a certificated pilot and the subject matter is hardly limited to “theory.” In addition to understanding essential topics like weather, airspace, aerodynamics and aircraft systems, the FAA’s contemporary training approach incorporates scenario-based training, demanding that the student pilot exercise aeronautical decision-making in real-life situations that pilots encounter every day. Immersion in ground training sharpens your judgment and builds your confidence. It’s the essential ingredient that turns a student pilot into a “pilot-in-command,” ready and able to take responsibility for the successful completion of any flight. Every ZuluTime training flight has a stated mission and training objectives. You won’t hear the mantra “Let’s just fly” here, because getting in the aircraft and flying without specific tasks to accomplish is a waste of time and money. Even so-called “time building” cross-country flights are an opportunity for practice, and should have expressed training objectives beyond just logging hours. Pilot proficiency doesn’t happen merely through exposure; nor does it come through osmosis. Proficiency comes through conscious practice and thoughtful, intelligent feedback. When you’re on a mission, your step-by-step progress towards your goal is tangible; when you’re heading off-course, that’s easy to see too, and easy to correct. Stick with the mission and you’ll reach your objective step-by-step. Stay up-to-date with our news, events and promotions. All training originates at the school’s facility on the second floor of 2005 W Cypress Creek Rd,, Suite 207, accessible at the Northeast and Northwest corners of the building by stair and elevator respectively.